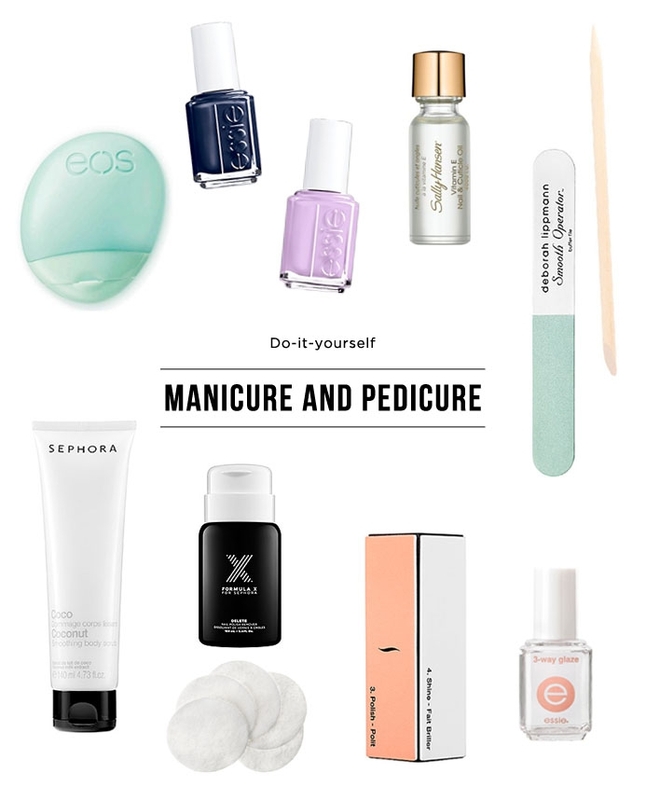 Don’t waste a bomb on manicures and pedicures at the salon. Here are DIY steps that you can try at home! Costly parlor trips for a manicure and pedicure, seems way out of the commoners’ league. This is why we are here to help you achieve the glam at home, in six easy steps. Take a look at them well and emulate the same; we promise you it would be easy, cheap and very efficient. Plus your gal pals would want to know the secret, which you can wink and tutor them on! Excited aren’t you? So are we, so let’s begin. 1. 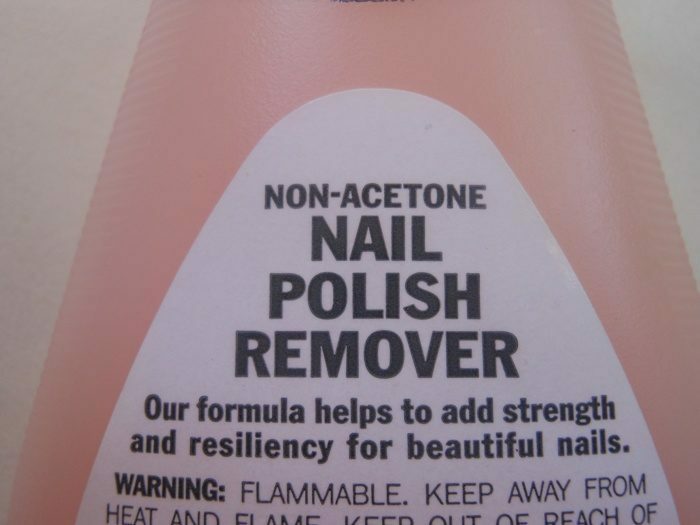 With the help of the non-acetone remover, clean the nails off the remnants of the previous nail polish, and with clippers and a file, gently clip and nail the file which helps bring shape to your beautiful nails. Smoothen the nails with the help of a buffin block, which removes the stains and the polish, and don’t forget to buff the side of the nails for an intense overall shine. 2. In a bowl of warm water, add a little lemon juice and soak your nails (hands and feet) in them. This helps soften the dead skin cells and the cuticles, post which we shall use a little sugar scrub exfoliate or any exfoliate of your choice to scrub gently and efficiently. Rinse your hands and feet, and with a clean paper towel pat them dry. 3. 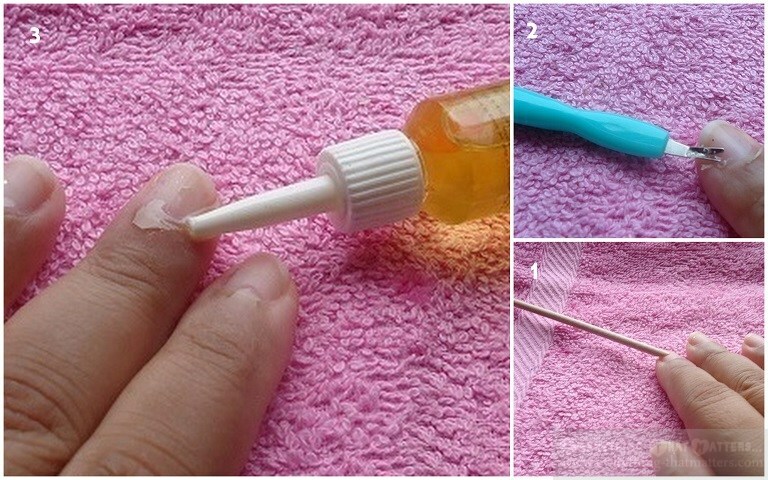 Use a little oil to soften then cuticles further, hence cuticle oil of a reputed brand should be used. With the help of the orange-wood stick, push back the cuticles to form a shape quite pleasing and nice to your eyes. The stick can also be used to remove dirt under your nails. Do this for your hands and feet alike, and then use a moisturizer to soften the hands and feet. If you feel the moisturizer and oil have stayed back on the nails, get them removed with a swipe of non-acetone nail polish remover. 4. Now apply one layer of the base coat on each nail- hands and feet- evenly. 5. Once dry, over the base coat, apply two thin layers of the polish you wish to wear- evenly. First begin from the center of the nail, and then on each side gradually. Do this for every nail- one nail at a time. 7. The top coat now shall be used to add more shine to the nails, and to remove flaws and flubs that may have come up when applying the nail polish. One coat of the top coat is more than enough, and a few days later to keep the intensity of the coat alive, you may use another coat. 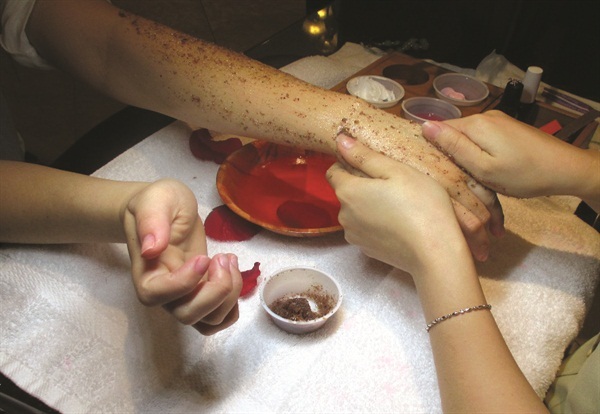 Don’t forget to give your hands and the back of your feet- the soles especially, a good relaxing massage while the oil and moisturizer is applied. In doing so, you not only help with blood circulation, but also would be helping yourself with stress relief and pampering too! You now have gorgeous nails on your hands and feet to flaunt. Go ahead and flaunt your new nails to your girlfriends, and make them jealous too!